There are certain times when unexpected expenditure crops up and it’s useful to take out a loan to cover it. For example, if home improvements are needed, such as a loft conversion or a new conservatory, the additional funds required will add value to the house, so a low rate loan is a good investment. Similarly, a wedding in the family might mean extra money is essential and it’s wonderful to be able to plan a great day of celebrations knowing that there’s an affordable way to do so. Unsecured loans are normally available for sums up to £25,000 and when deciding what is most suitable it’s important to look at the typical rates of interest and not merely the headline rates, as these are often only available to a small percentage of borrowers. Not every lender operates in the same way of course and it’s certainly worth shopping around to find a loan that suits the circumstances and offers attractive payment options. A variable rate loan means that payments will change according to interest rates – they may go up or down every month. A fixed rate loan, on the other hand, involves monthly payments for a fixed period of time so it’s easy to budget for the regular payments. Usually, it’s not possible to pay off the loan early without incurring interest charges – normally about one month’s interest charges but sometimes equivalent to interest charges for two or three months. A flexible loan, on the other hand, does offer the option to pay off the loan earlier if this is preferable. Overpaying the monthly amount is also an option with certain types of flexible loans. Sometimes it’s also possible to delay payments or take a ‘payment holiday’ – a break in payments for up to three months at a time. It’s best to remember that even when taking a payment holiday, however, interest on the loan will continue to accrue, so flexible loans are not always as good as they might at first appear. 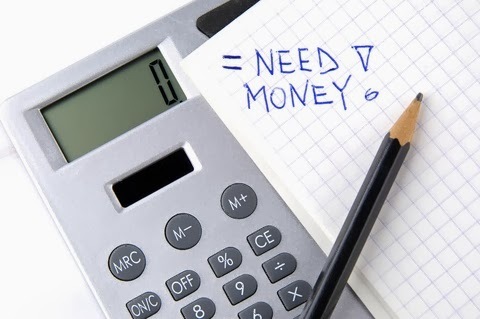 Most lenders provide a loan calculator to help customers work out their rates and it makes sense to check these out as the amount of money to be borrowed has a bearing on the cost of the loan – with larger amounts often being more advantageous in terms of repayment costs than smaller ones. Some providers offer a lower APR (typically 9.9% for example) for loans of more than £5,000, whereas smaller amounts, say £3,000, might attract an APR of 15.9%. This means it can sometimes make more sense to borrow a larger amount than is needed on a flexible loan with a smaller APR and then avoid paying any extra interest by repaying the surplus immediately. It’s worth remembering that there is a great deal of competition among financial institutions when it comes to lending money. Banks, building societies and the Post Office have a variety of loan schemes from which customers can choose and it pays to shop around for the best low rate loans before making a decision.